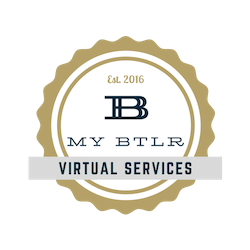 Plus, My BTLR customers receive 7% off their monthly plan! Hilton is synonymous with first-class hospitality. No one has more brands spanning more lodging segments than Hilton. Each of our eleven brands speaks to a different target, from luxurious full-service hotels and resorts to extended-stay suites and mid-priced hotels. Partner with us to be part of the best name in the hospitality industry. M2 The Agency delivers mind-blowing creative without the egos. Print. Web. Radio. TV. Outdoor. Social media. SEO. You get the idea. They do it with one thing in mind – results. Allianz Global Assistance is a world leader in travel insurance and assistance because they really do help people—anytime, anywhere. Marketing automation can be hard to wrap your brain around. With ConvertKit, it’s easy. eCoast delivers comprehensive demand generation services that support client growth and drive new business opportunities. From appointment setting and account-based marketing to digital marketing and live outbound calling services, eCoast Marketing delivers results.